Being at peace with one self gives us stability of mind. With a sound mind we are able to understand our situation and deal with it. This is what I think is self-promoting oneself to a different level. Practices like yoga, exercise, Sudarshan Kriya (taught in the basic course @ Art of Living foundation started by H H Sri Sri Ravishankar), and meditation help us reach that level. 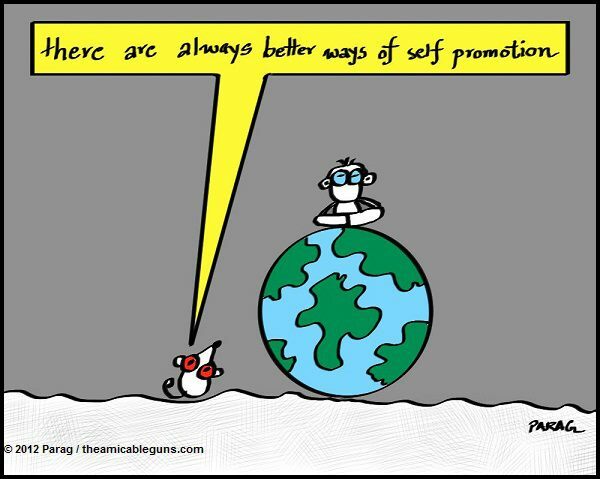 If we are insecure about ourselves, we end up trying to self-promote ourselves to others. So why wait and suffer? Stay happy and be free.